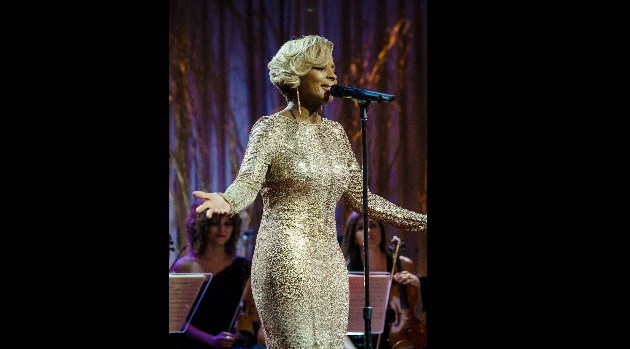 PR NewswireDiddy‘s Revolt TV is set to air it’s first holiday special, Mary J. Blige‘s A Mary Christmas, this week. In the upcoming one-hour show, viewers will be treated to the Queen of Hip-Hop Soul showcasing Christmas classics in front of a live audience alongside special guest Tyrese, musical director David Foster and host Queen Latifah. Mary, who recently released her first Christmas album of the same name, also will share her inspirations and holiday-related stories during the special, which will be executive produced by Andre Harrell. A Mary Christmas premieres on Thanksgiving, November 28, at 8 p.m. ET, visit Revolt.TV to check for local listings.